-Garima Singh, Dr. Ram Manohar Lohiya National Law University, Lucknow. 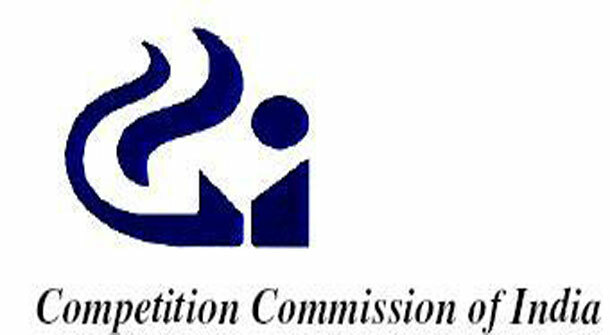 The Competition Commission of India (CCI) has challenged the Chennai High Court’s single-bench order. The matter is yet to come up for hearing and most probably it shall be heard by division bench of same court. Fact in case: Seventeen car manufacturers who were probed by the Competition Commission of India (CCI) had found all of them guilty of whereby Car manufacturers are fleecing the customers by selling spare parts at high prices through their outlets only. They restrict the supply to only their outlets and make it difficult to get them from dealers. So far, the investigation arm of the CCI, headed by the DG investigation, has filed a 2,000-page comprehensive report with separate chapters on how each of the 17 carmakers has violated the competition laws of the country by restricting their suppliers from directly selling spare parts in the market and then charging a steep mark-up on the spare parts. Car manufacturer Hyundai challenged the CCI investigation on their company in the Chennai High Court’s single-bench. Hyundai had argued that the complaint was filed against only Volkswagen, Fiat and Honda — the anti-trust regulator CCI had no right to enlarge the scope of investigation to include it in the probe. In the report, it is interesting to note that Hyundai has committed the least number of violations among other car manufacturers. The high court had in January passed an ex parte order, granting a stay on Hyundai’s investigation since there was no representation from CCI. It ordered restraining CCI to probe against Hyundai. CCI has challenged this and the case is likely to be heard by a division bench of the court. CCI has filed a petition in the high court. CCI’s Contention: There have been allegations against Hyundai also in the report submitted by DG. Hyundai had challenged this by way of revoking the appellate authority of HC which can grant necessary relief. The high court’s final decision will alter the car spare parts business and have ramifications on the anti-trust regulators probe on 17 carmakers that have misused their market dominance or not. As per the Competition Act, the investigated companies if unhappy with the CCI’s final order can appeal to Competition Appellate Tribunal under Section 53B of Competition Act 2002, after which they can move the Supreme Court. Due to this, other car company decided not to go to court yet. Instead, they have filed complaints with the commission tribunal itself. After this appeal of CCI is rejected other carmakers would also try to take benefit. Legal Analysis: What was the offence committed by these 17 carmakers? They tried to restrict the supply of spare parts (of their company) only through their outlets and make it difficult to get them from dealers. By restricting free availability they might sell their spare parts in High prices, whereas if it would have been freely available through dealers it would have benefitted consumer as they get the same product at less price. So, automatically they are trying to affect competition. In common parlance, competition in the market means sellers striving independently for buyer’s patronage to maximize profit (or other business objectives). A buyer prefers to buy a product at a price that maximizes his benefits whereas the seller prefers to sell the product at a price that maximizes his profit. Fair Competition as contemplated by Competition or Antitrust Authorities globally aids consumers, producers, distributors thus benefiting society at large. However there is presence of unfair competition when practices such as collusive price fixing, deliberate reduction in output in order to increase prices, creation of barriers to entry, allocation of markets, tie in sales, predatory pricing, restrictions regarding the free availability of products or services etc are present. S.27. Orders by Commission after inquiry into agreements or abuse of dominant position – Where after inquiry the Commission finds that any agreement referred to in section 3 or action of an enterprise in a dominant position, is in contravention of section 3 or section 4, as the case may be, it may pass all or any of the following orders, namely:—( b) impose such penalty, as it may deem fit which shall be not more than ten per cent. of the average of the turnover for the last three preceding financial years, upon each of such person or enterprises which are parties to such agreements or abuse agreements among competing enterprises on prices or other important aspects of their competitive interaction. Likewise, agreements between firms at different levels of the manufacturing or distribution processes which are likely to harm competition through vertical agreements need to be addressed, but have no mention in the Competition Act, 2002. Conclusion- If appeal is allowed and previous order is reversed we would see a good judgment in future by CCI preventing misuse of dominant position by Companies. Sir John Vickers, former Chairman (Office of Fair Trading) at a speech given to the Social Market Foundation.